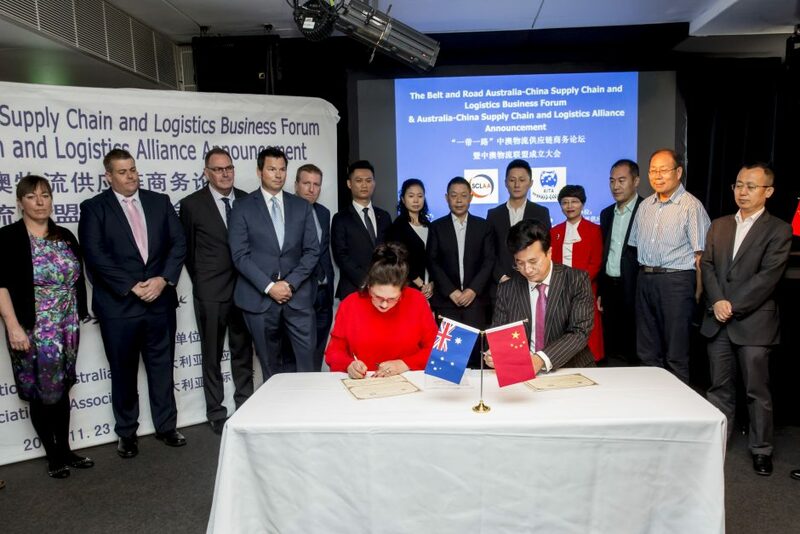 On 23 November 2018, the Supply Chain & Logistics Association (SCLAA) and the Australia International Trade Association (AITA) announced the formation of the Belt and Road Australia-China Supply Chain and Logistics Alliance and formally signed the Memorandum of Agreement implementing the Alliance. 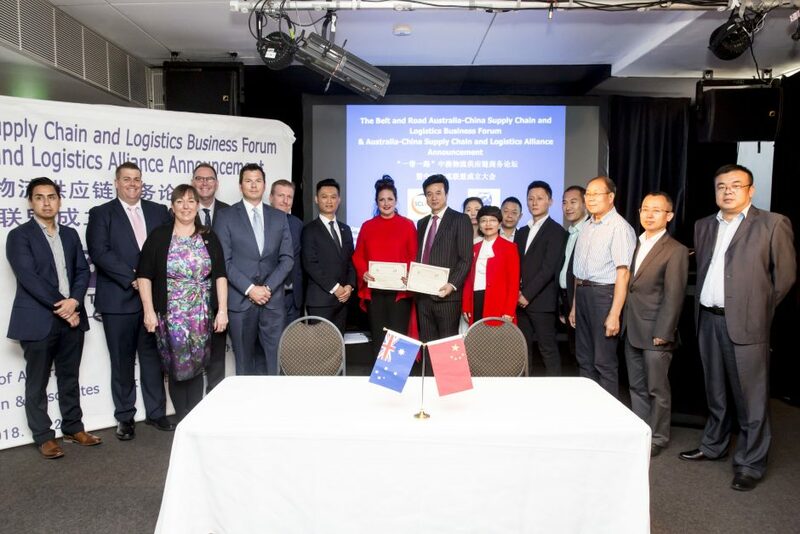 The event was attended by a number of dignitaries, including Mr Guo Jinsheng (Secretary General of Shanxi Electronic Commerce Association), Mrs Zhang Hongping (Asia Europe Exchange Chairman) Mr Cai Jin (Vice President China Federation of Logistics & Purchasing), Mr Michael Guo, (CEO, IATA) and a number of senior company executives from both China and Australia. 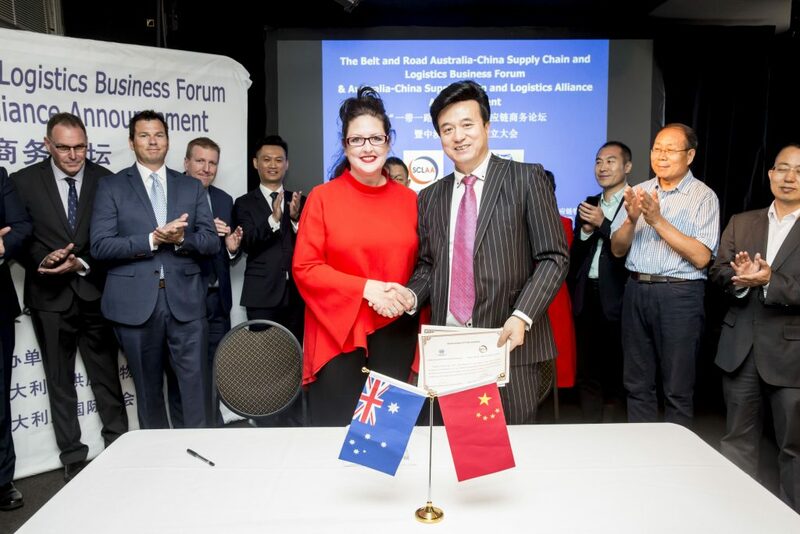 After the official signing of the MOU by SCLAA Chairman, Amanda O’Brien, and AITA CEO, Michael Guo, the following presentations were made. Following the presentations, there was time for those present to network over refreshments.